Iran’s local currency hit another record low against the U.S. dollar Monday, extending a historic slide on concerns about new American sanctions due to be imposed next week. Scrambling to put a floor under the rial, Iran’s central bank late Sunday promised new measures to restore calm. It didn’t say what those measures were, but they will likely be the first major moves for the new central bank governor Abdolnaser Hemmati. The rial traded at 119,000 to the U.S. dollar Monday, according to Bonbast, which tracks unofficial currency-market rates. The currency fell through the 100,000 per dollar level for the first time Sunday and has almost halved since early May. The currency’s slump and a spike in demand for gold were “not proportional to economic realities,” the central bank said. New U.S. sanctions set to take effect Aug. 6, covering Iran’s trade in gold and other precious metals, its purchases of dollars, metals, software and its automotive sector, have stoked uncertainty and an investor flight to safety. More sanctions covering Iran’s oil and shipping industries are set for November. The sanctions follow President Trump’s withdrawal from the Iran nuclear deal on May 8. That deal, agreed between Iran and six world powers in 2015, gave Iran relief from international sanctions in exchange for curbs on its disputed nuclear program. The Trump administration viewed the deal as inadequate because it didn’t prevent Iran from expanding its military footprint in the Middle East. With the U.S. out of the Iran nuclear agreement, the Trump administration is clamping down on the Iranian regime. The Wall Street Journal’s Gerald F. Seib explains the sources of pressure. Meanwhile, the huge gap between the official and market rates has incentivized cheating and led to accusations that people closely connected to the regime are profiting from the situation. Authorities have arrested dozens of people in recent days for what an Iranian judiciary spokesman called “economic disruptions” on Monday. Some were accused of buying ordinary Iranians’ identification cards and using them in faked trade deals that allowed them to receive dollars from the central bank at the preferential rate. The crisis comes at a trying time for Iran’s leaders. While the weakened currency is often blamed on corruption and speculation, Iran is also grappling with rapidly rising prices for meat, medicine and other staples that have had a bigger impact on ordinary Iranians. 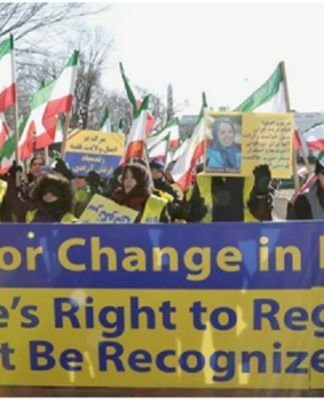 The widest protests in almost a decade broke out in December and January, centered on the economic management of President Hassan Rouhani. Merchants at Tehran’s old market, the Grand Bazaar, shut their shops in protest in June as conditions worsened. Next articleTwo arrested for allegedly spying for Iran in U.S.